This week's post is probably going to be one of my favorites post ever! I told you about my "squad goals series" that I started a few weeks ago (click here if you haven't seen the first post :P). This weekend I had the best experience with my squad ever. Sadly, one "member/person" of our squad wasn't able to come. But we still had an unforgettable time! 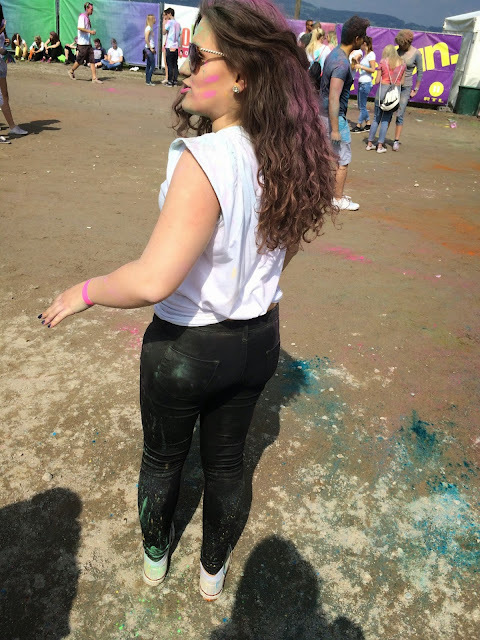 We went to the Holi Festival *whuup, whuup*. 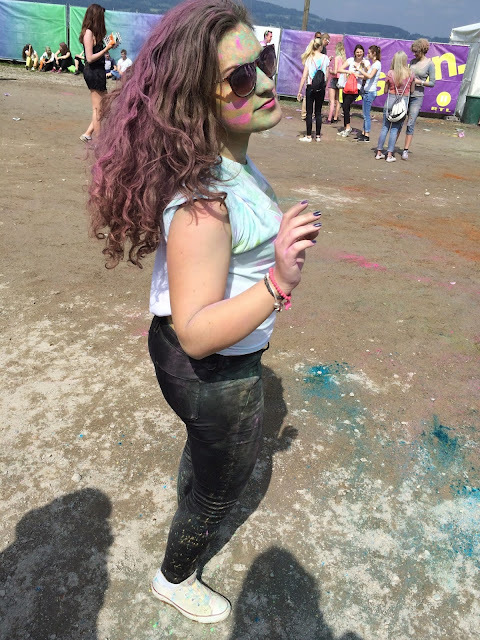 If you don't know what that is: The Holi Gaudy Festival is basically a festival where you dance (like on every festival) but while throwing colors in the air. This color are called "Gulal" Colors and it is invented by Indian People. You might have seen it on snapchat a few weeks/months ago because it was that Holi Time in India. 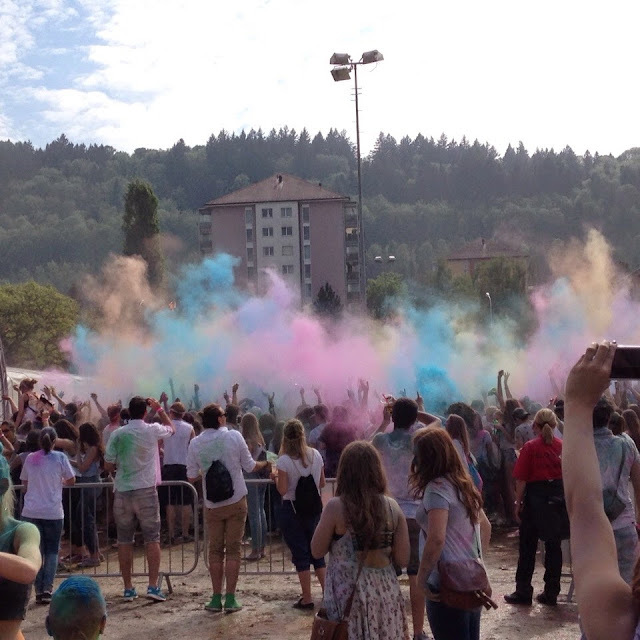 So the Holi Gaudy Festival tours all around Germany and a few dates in Switzerland. This Saturday it was in Zurich. how cool it was! It basically started at 14:00 o'clock and ended at 22:00 o'clock but we stayed only until 21:00 o'clock because it started getting a bit boring in the end because of all the people leaving the festival. I got home at 23:15 o'clock and took a shower that was probably 1 hour long (?). I think I've never used so much shampoo while showering like I did then. 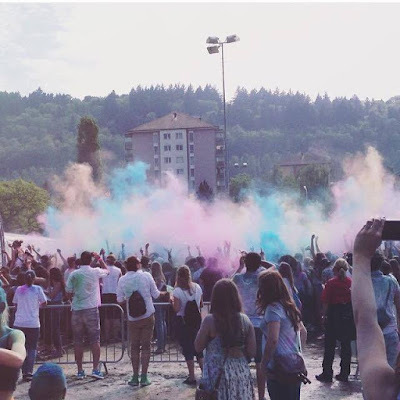 You found colors everywhere! 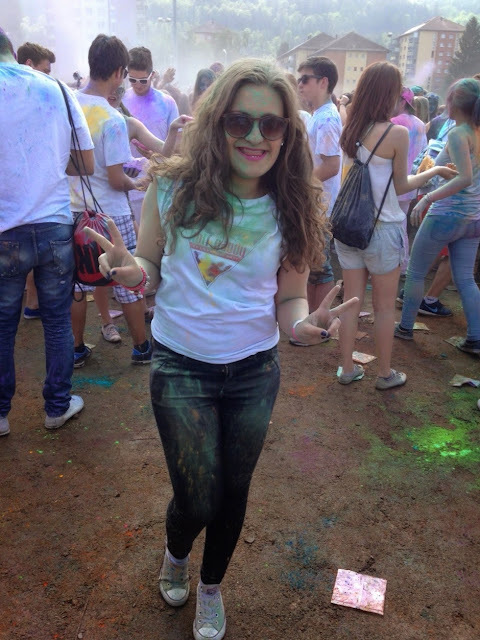 Like we had a holi gaudy t-shirt but my upper body was full of colors....it went literally through the t-shirt. We had a VIP-Ticket that cost like 50.- more than the regular ticket but we had included: a Holi Festival T-shirt, two Holi Festival CD's (they're amazing), 6 packs of Gulal Colors and every drink we wanted! And that was the best thing because you get thirsty a lot while dancing and we got everything we wanted just by having a pink wristband. Also we had a little VIP-Area where we could sit and have a little pause and drink something. OMG! The Holi Gaudy Festival seems so cool. 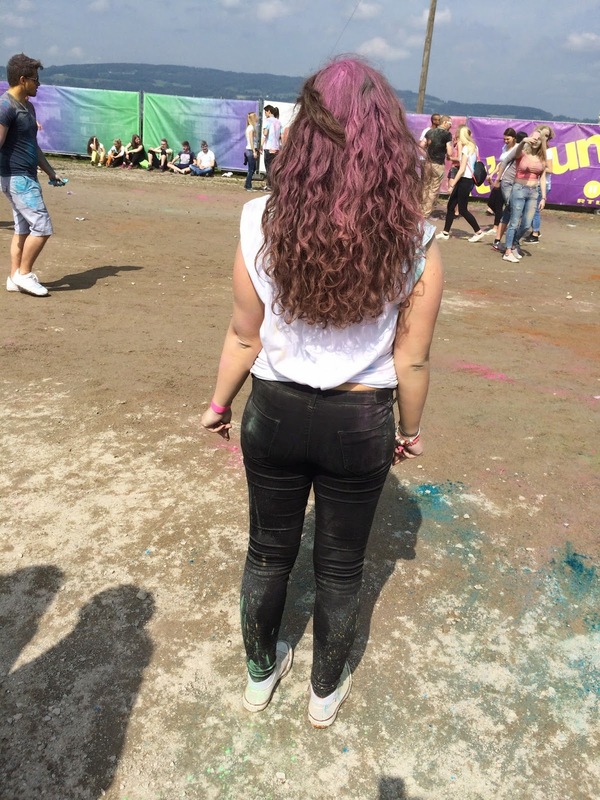 I hope you managed to get all the paint out of your hair!